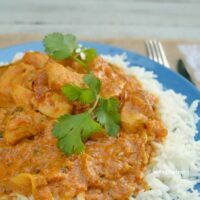 Spicy Butter Chicken is the best spicy Chicken we have ever had and so easy to make too ~ Perfect comfort food for the whole family ! This is hands down the best Spicy Butter Chicken I have ever had and my family loves it just as much. My daughter is not much of a picky eater, not like her brother at all, although it seems the older he gets the less fussy he has finally become. I made this Butter Chicken on special request for my daughter a few months ago when she was home for the weekend. And the dish was an immediate hit with everyone. So much so, that I now make it quite often. 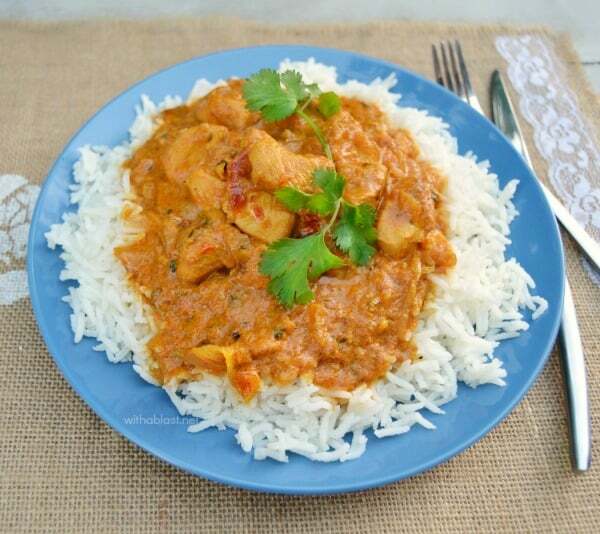 I have had restaurant Butter Chicken before, but I have to tell you, if you have never had homemade, you should most definitely try this recipe. Restaurant’s won’t see me ordering this particular dish again. One thing I absolutely can not stand is finding a bone in my food, and that is one area most restaurants, offering this dish, can really improve on. That is also the main reason I would rather make a homemade version of most take out chicken dishes, as I simply only use chicken Fillets for this kind of casserole. The spices combined in the recipe are one hundred percent to our preference in a spicy chicken dish, without any one of the spices, or herbs, being overbearing. You can also use fresh tomatoes instead of canned. This smooth, spicy Butter Chicken is the perfect comfort food and a bowl would always be welcomed by anyone on a cold evening. With all of those spices, I bet this smells amazing while its cooking! 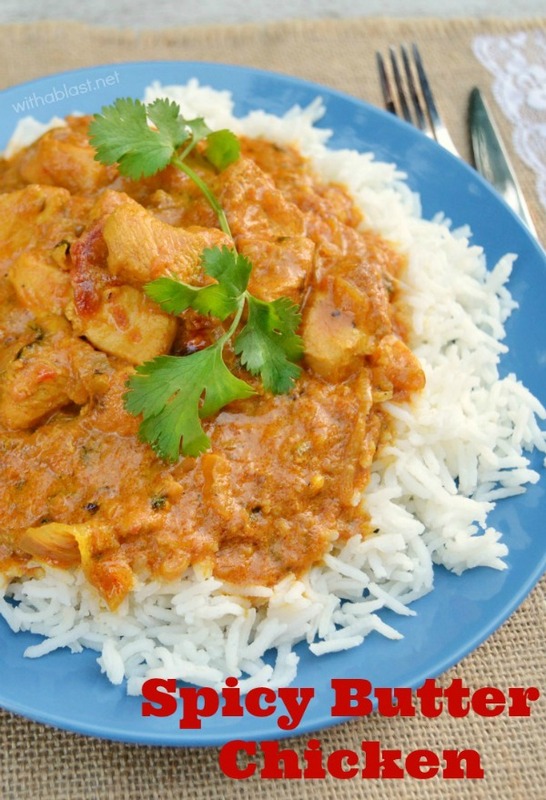 I am loving the flavor combo in this chicken dish!! 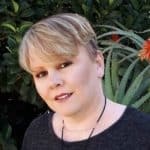 Can't wait to try that Linda! Amazing recipe, full of flavors! Share on g+ ASAP! This looks like a great recipe Karen! 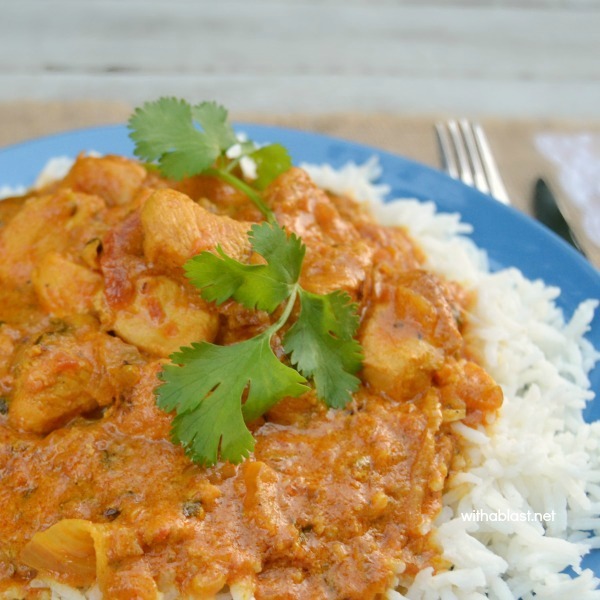 My boyfriend loves butter chicken and I'll bet he'd be overjoyed if I made this. I like to use chicken thighs when I make chicken dishes. I find them to be more tender and juicy. Thanks!